The advantages players have realised by playing online for some years now are very clear. The act of going to a land-based casino somewhere in the world -- maybe Vegas, maybe Monte Carlo, wherever -- is a bit more of a novelty business nowadays, because casinos seem to almost work out better for us on the Web. There is just less hassle before enjoyment of the games. Let’s face it: playing Poker, Blackjack, betting on Roulette and Baccarat, spinning slots, picking Keno number -- none of these are exactly athletic activities. This is mostly a mental form of entertainment. That mental-skill factor is the critical point regarding how casino games are compatible with the whole experience of being online. The two go together very well, and, the upshot is that playing on the Web (or via a mobile app) actually removes many dis-advantages we usually find at land-based venues. If we were to go to a land-based casino and get ourselves set up with chips or tokens or what have you, and we’re ready to play -- what’s the first thing we would do? You got it: if it’s Poker, we’re looking for a table with opponents we can deal with and a good seat at the table; if it’s Roulette, perhaps the best view (of the wheel! ); if it’s Blackjack or Baccarat then we’re scoping out the dealers. All of that takes time. There is also the ceremony of our own personal appearance (attended to hours beforehand) to put off the right image and get the best service or respect, and so on. Those extra things take a lot of time. Not to mention transportation to and from the casino, or, costly room charges (until getting high-roller status!). On the Web, we can play cards and have the right place to sit instantly. Some apps even automatically place you at tables with players whose profiles match something you have pre-set. 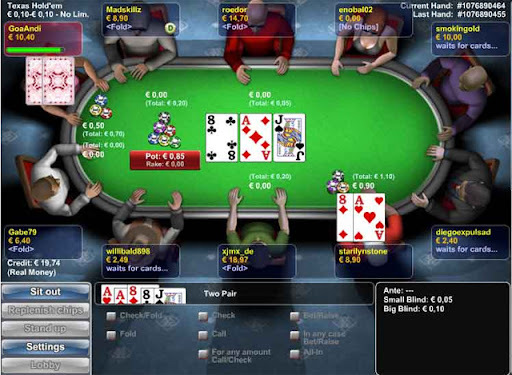 We think that removing all the physical obstacles to playing a game that is almost purely mental is the essence of the advantage of playing online -- at the same time, the Web-powered games remove problems in the physical game, like not having a mean enough Poker face, or not owning a tuxedo. Not surprisingly, the trends for our favourite games will continue to be more intensification of these advantages, using the latest technology. The overarching big thing that happened in 2013 and will continue to influence progress for some years to come is called HTML5. That’s the Web’s native code or programming language. It just got upgraded, big-time. The main benefits have to do with everything that used to need plugins or special software to run can now do just fine right inside the browser window, cleanly, without further ado. That goes for casino games, quite notably. Casino has never before been as easy to play (look for more ‘instant play’ / ‘no download needed’ buzz words this year!) either online or on mobile devices like smart phones or tablets, or interesting new inventions coming out every day.
. . . is simply that you won’t know where to start in finding the best things for you. The good news is that this ‘problem’ (that is really just the sum total of all the newest pay-offs of playing Web-powered casino) is easily solved! Sites like this one, or another trusted guide like Classy uk online casinos - classycasinos.co.uk are all stepping up to help you find your luckiest niches within the world’s best online casinos.